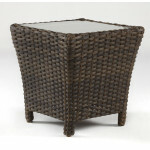 An Remo Resin Wicker End Table....27" x 27", Ht. 21"
MOST LOCATIONS in 48 States. San Remo—is that the Italian Riviera in the background? 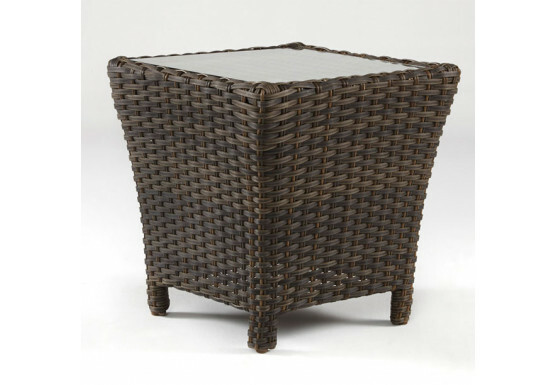 The beautiful sloping lines of the frame that house the plush, comfortable cushions will make you feel like it is. The multiple brown tones in the synthetic wicker imitate the look of natural rattan. The sturdy Aluminum frames insures a long life.